The Duke 200 & 390 and RC200 & 390 have been four products that have revolutionized the entry level performance motorcycle scenario in India, specially the bigger brethren. Not only have they changed the whole concept of affordable premium motorcycling in India but are also four of the best motorcycles to brush your skills on before moving on to a bigger bikes. It is understood that KTM may launch newer upgraded Dukes and RCs early this year in India but after a year or so they will be discontinued from the market! The word on the streets is that KTM is planning to bring in new-generation replacements to the existing crop. As per an article on Overdrive, KTM’s CEO Mr Stefan Pierer has confirmed that the company is working on all-new 125, 200 and 390 platforms. These new motorcycles will start hitting the markets as early as 2017! As is the scenario at this moment, these new motorcycles will be built at Bajaj’s Chakan plant in Pune and exported globally. 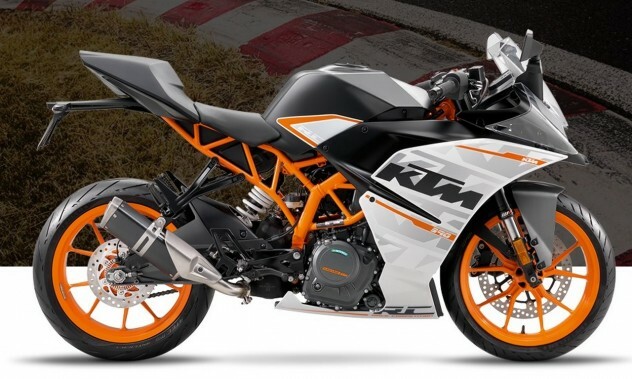 KTM has always been at the forefront of performance sports motorcycling and they have added slipper clutch, ride by wire, bigger discs etc during this course to already very well-equipped products. He also confirmed that these new bikes will be different not just in terms of chassis and engine but will also sport new designs (can we get a bigger fuel tank please?). Further, these new bikes will be introduced in a phased manner and by the end of 2017 all existing KTM-Bajaj products will be replaced with all-new motorcycles. So, how do you envisage the 2017 RC390?